Radyr Weir hydro scheme recently attains ICE Award at Marriott Hotel, Cardiff on June 16th 2017. 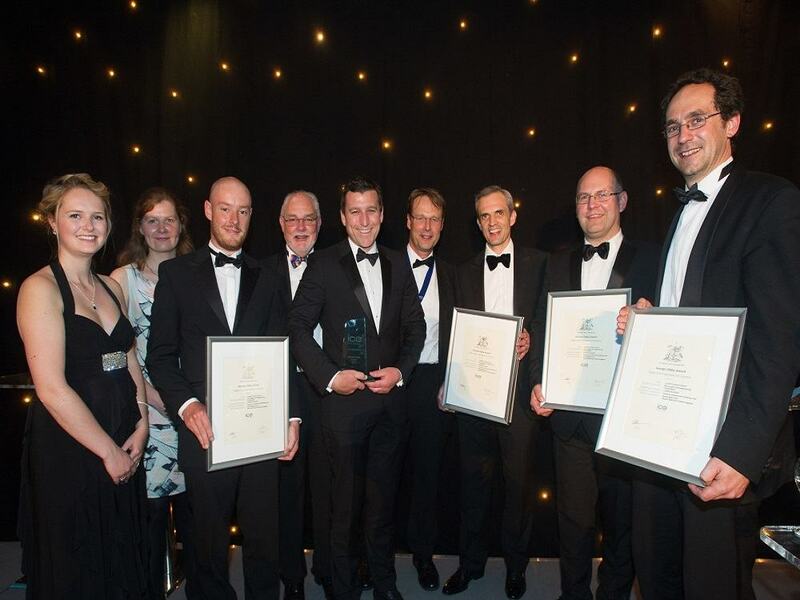 The design team from Renewables First and other contractors involved with the construction of the Radyr Weir hydro scheme were proud recipients of the 2017 George Gibby Award for the Best Civil Engineering Project in Wales, awarded by the Institution of Civil Engineers Wales Cymru. The Institute of Civil Engineering (ICE) judges recognised the fantastic collaborative approach taken by all the parties involved to deliver the Radyr Weir hydro project against an extremely challenging FiT accreditation deadline, which was met with just 12 hours to spare! The Radyr Weir hydro scheme comprises a 391 kW twin Archimedes screw system abstracting up to 18 cubic metres of water per second, alongside a 3 flight Larinier fish pass with trapping facilities, all based close to the centre of the Welsh capital, Cardiff. The site is highly visible alongside the Taff Trail long distance bike route, and the ICE judges particularly praised not only the design and delivery of the project, but also the engagement of the local stakeholders.